Venous insufficiency can sound like a frightening or dramatic issue, but it is simply a term for when your veins aren’t working as well as they should. 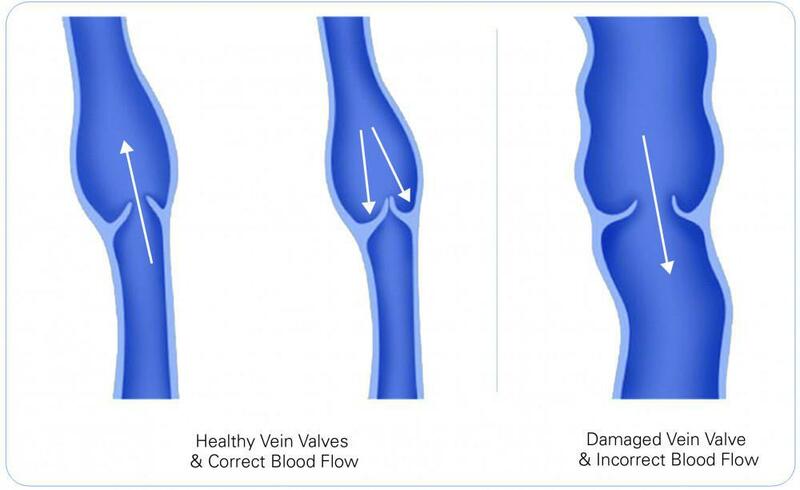 It happens when the valves in the veins don’t function properly. This allows the force of gravity to cause blood to pool in the lower part of of the legs causing a combination of unsightly veins and discomfort. The disease often appears as varicose veins or spider veins. Symptoms can include aching legs, heaviness in the legs and leg restlessness. And it can also lead to more serious, long-term problems like ulcers. A vein specialist, like Dr. Jeffrey Gosin at Shore Vascular & Vein Center will use ultrasound technology to identify and diagnose issues in the veins. Once the problem is identified, a quick, minimally-invasive outpatient procedure can typically cure it. And most patients feel results very quickly, because the treatment corrects the problem instantly. While venous insufficiency is far more complicated than visible vein problems or discomfort and pain in the legs, it’s an issue that can be quickly remedied by a Board Certified Vascular Surgeon. To find out more or to make an appointment in the Atlantic County, Cape May County, and Ocean County areas, contact Shore Vascular & Vein Center in Somers Point, New Jersey by calling (609) 927-VEIN (8346).